AND, per her own twitter account, she purrs about the “niceties” of Sharia Law! IN this regard, as is said, one is known by the company one keeps. Indeed, ain’t that the truth. Resultant, it is hardly shocking that “Lindala” (mind you, as her nemesis, with a counterterror posse too, yours truly is entitled to use said term of familiarity….in case anyone is wondering) is hooked into Wahhaj, as well as countless Muslim terrorists for Allah! Wahhaj was a defense witness at the trial of the Blind Sheikh, Omar Abdel-Rahman, the former leader of the Egyptian terrorist organization, Gama’a al-Islamiyya. UNFATHOMABLY – over and over again – America’s jihadis not only remain free to bring down the nation, but are feted in the process! So, it is along this in-your- face terror axis that “LINDALA”, HAMAS’S front-line chick from the ‘hood, a “Palestinian”, is absolutely emboldened. This is no accident. SECURE in the knowledge that deeply embedded Brotherhood Mafia hydras have her back (throughout US power centers, never mind her reach into the fiery belly of the Middle East), similarly, she is assured that City Hall is at her beck and call. Cash-in-hand. The Arab-American Association of New York, a Brooklyn-based nonprofit run by Linda Sarsour, was selected as one of 14 groups by the Mayor’s Fund to Advance New York to receive $10 million over five years to integrate mental-health services into their community programs. McCray oversees the fund…. YOU got that? One couldn’t wish for two more powerful allies, especially, when it comes to NYC and its political/financial brokers. Washington’s alike. EVEN so – and before issuing what is known as a “BOLO”, in expectation of swearing out a warrant – as always, firming up the evidence is mandatory. Due diligence. In January 2015, it became very clear that the “darling” of the jihadi-set is equally admired by the fascist-left. Not for nothing. But what stands out the most is her cunning usage of Koranic-derived and “weaponized” taqiyya, tawriya, kitman, and muruna. Indisputably, the made up out of whole cloth bugaboo, “Islamophobia”, was birthed – and reigns supreme – from the same conceptual basis. NOW, those of us who are hooked into the counter-jihad arena – and deemed experts thereof – should be paid heed to. In fact, when a Homeland Security entity comes knocking, well, how much more backing is required? AS such, listen up! Forget all about the jive-talking apologias re what jihad really means, you know, the “striving to be better” hogwash. Islamic jihad is not, as some Western apologists claim, simply a striving for individual moral perfection. Nor is it merely a series of unrelated clashes involving groups of Islamists, each with their own limited objectives. Rather, jihad is a radical, expansionist, totalitarian ideology that seeks to establish a global Islamic state ruled by Sharia law. The adherents of this ideology are willing and able to commit acts of violence to bring about their objectives. MANDATED by the Koran and the Prophet Muhammad, jihad is a constant of Islamic history. 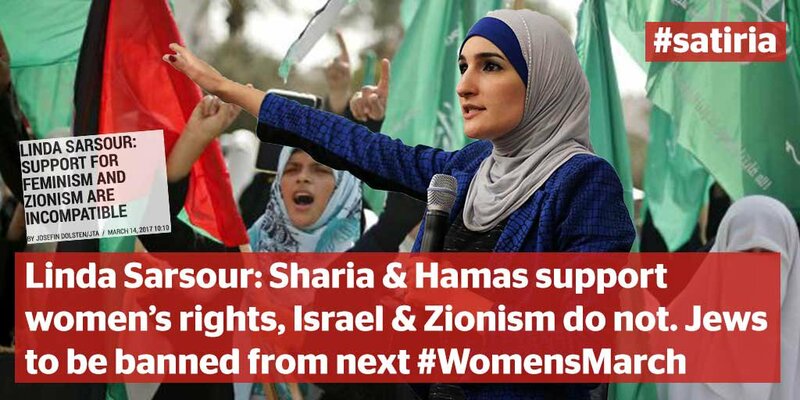 NOW that that’s straightened out, patriots must internalize the documentation throughout, but bear uppermost in mind: Sarsour’s “call to jihad” is intended for the ears, the hearts and minds, of fellow Muslims. She exhorts the Islamic commanded (and non-fixed timeline) war-cry. The rest is just smoke and mirrors. MOST egregiously, at the same time that she incites fellow Muslims to rise up through terror, she excoriates law enforcement in general and the NYPD in particular. In fact, she double dares them to do a damn thing about it. Outrageously, she stands shoulder to shoulder with cop-killing Black Lives Matter! Sarsour is a well-documented inciter against law enforcement, in particular, the NYPD. So much so, she exhorts to the same! “Sarsour called on Occupy Wall Street’s supporters to, ‘stand up and say no. Paul Browne that they need to go. Enough is enough.”17…..
AND, these are the “polite” things she impugns upon the NYPD, while, at the same time, she has NEVER met a Muslim who is guilty of Sharia Law supportable terror!! Under NY Penal L § 490.20 (2014) the following is applicable.1. A person is guilty of making a terroristic threat when with intent to intimidate or coerce a civilian population, influence the policy of a unit of government by intimidation or coercion, or affect the conduct of a unit of government by murder, assassination or kidnapping, he or she threatens to commit or cause to be committed a specified offense and thereby causes a reasonable expectation or fear of the imminent commission of such offense. 2. It shall be no defense to a prosecution pursuant to this section that the defendant did not have the intent or capability of committing the specified offense or that the threat was not made to a person who was a subject thereof.Making a terroristic threat is a class D felony. HOW does the above penal code fit Sarsour like a glove, so speak? Well, rest assured, since the ACCEPTED meaning of jihad to each and every committed follower of Islam, aka Mohammedans, is “holy war”, by extrapolation, when a hard-charging Muslima – whose access reaches to the highest levers of power via a bully pulpit to boot – incites to jihad, know that said screams reverberate nationwide! Incontestably, being honored by HUSSEIN Obama’s White House – as a “Champion of Change” – qualifies as a farther than average reach. Agreed? MOST significantly, it is with clear and convincing evidence – shored up by the “Reasonableness and Reasonable Person Standard” in criminal law – that the NYPD has more than enough basis and compelling material to issue a BOLO; an APB for LINDA SARSOUR as a “person of interest” re incitement to terror, aka jihad! Descriptively, she is swarthy complected; small to average height; brown eyed; dons a hijab, and speaks like a “home girl” from the ‘hood. Yup, it lends her “street cred.” Her physical address is in Bay Ridge, Brooklyn. Clearly, she is “hiding” in plain sight! IS it possible that SARSOUR is escaping the long-arm of the NYPD’s Counterterrorism Bureau – the most vaunted local force in the nation – due to her tentacled hooks into City Hall and beyond? If so, where will the onus lie – and, it will – when her “call to jihad” explodes within the city, borough after borough, and spreads like wildfire throughout the nation? KNOW that American patriots are watching what action will – or not – be taken to shut her down, effectively, to bring her (and like-minded Islamists) to justice. Trust, they will hold each and every enabler to account, that is, when rivers of blood spill into the streets due to her ability to roam free to incite – and worse! CONSEQUENTIALLY, alas, the urgent two-part question becomes: On which side will the NYPD stand? Will it be alongside the likes of Islamists who brought down the Twin Towers, or behind law-abiding, non-terror inciting citizens that the NYPD is sworn to protect? GUARANTEED, hands-in-the-pockets “policing” is no longer tenable. Specifically, when it comes to a political hot potato – which is fueled by PC-induced “Islamophobia” hysteria – a “hands-off the Muslima” tactic won’t fly anymore. AND not to be a nit-picker, but what about this crazy “investigation”, you know, where the NYPD investigated online “threats” made against Linda Sarsour? Seriously?? Are they lacking in real criminal investigations to keep them busy? Or, have they fallen into a rabbit-like netherworld? PICK A SIDE – FORTHWITH! UPDATE: Hamas’s “Palestinian” terror chick from the ‘hood is “taking names” and plotting revenge! MEMO: Hey, “Lindala”, this hard-charging, right-wing Zionist ain’t scared of you, nor your cohorts. So, save your threats for those who give a damn! This entry was posted in Uncategorized and tagged "BOLO For SARSOUR-THE-JIHADI! ", "BOLO", "Reasonableness and Reasonable Person Standard", America's jihadis, Bill deBlasio, Brotherhood Mafia, HAMAS'S front-line chick from the 'hood, Linda Sarsour‏Verified account @lsarsour, Masjid At-Taqwa, NY Penal L § 490.20 (2014), NYPD's Counterterrorism Bureau, Sarsour is "taking names" and plotting revenge!, Sarsour:a well-documented inciter, Sharia Law, Siraj Wahhaj, what jihad isn't by Adina Kutnicki. Bookmark the permalink. DeBlasio is a grinning, hate filled spider who deserves to be stepped on. Linda needs to be convicted and legally executed on TV. Dina: PS, maybe ah bissle hamentaschen?